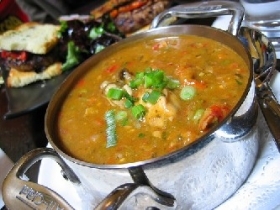 Have you made Chicken and Andouille Gumbo? 1. Season and brown chicken in oil (lard, bacon drippings) over med-hi heat. 2. Add sausage (cut in 1/4" rounds) to pot and saute with chicken. 3. Remove both from pot. Make roux with equal parts of oil and flour to desired color (I make a dark chestnut color). 4. 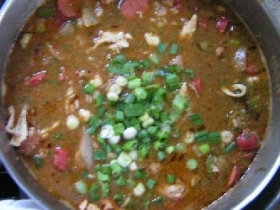 Add onions, celery, green pepper, and later garlic to roux, stir continuously until vegetables reach desired tenderness. 5. 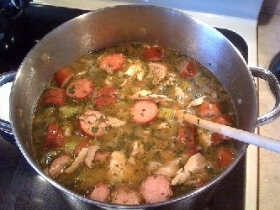 Return chicken and sausage to pot and cook with vegetables, continuing to stir frequently. 6. Gradually stir in liquid and bring to boil. Reduce to simmer and cook for an hour or more. 7. Season to taste. Approximately 10 minutes before serving, add green onions. 8. 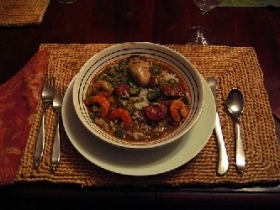 Gumbo may or may not be served over rice. Adding sherry at the table is also an option. 9. 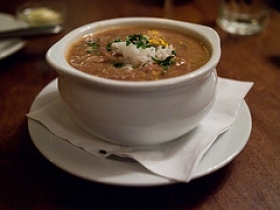 File may be placed on the table for individuals to add to their gumbo if they wish. 10. 1/4 to 1/2 tsp per serving is recommended. 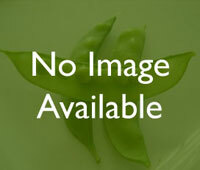 File - a fine green powder that is young dried and ground sassafras leaves, used in gumbo for flavor and thickening. 11. The word file means to twist or make threads. 12. If you put the file directly into the gumbo while it is cooking, that is what you will end up with, a liquid that is rather stringy as you bring your spoon out of the bowl. 13. Ugh! Do it right, let each person add their own at the table. 14. If making roux over very high heat, the oil you use must be free of food particles to avoid burning. 15. If you scorch your roux, even slightly, while you are making it, throw it out, and start over again after you have thoroughly cleaned the pot. 16. 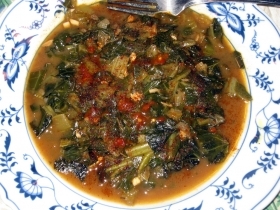 When making an okra gumbo, add 4-6 cups of cut okra to trinity, saute, and cook together with roux. 17. (remember, the Cajun cooking trinity is onions, celery and green pepper). 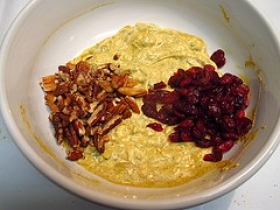 This recipe is a good source of Vitamin A with 14% of your daily recommended intake per serving. This recipe is high in Vitamin C with 45% of your daily recommended intake per serving. This recipe contains potential food allergens and will effect people with Wheat, Milk, Gluten, Bell Pepper, MSG, Poultry, Spring Onion, Garlic, Celery, Beef, Onion allergies.